ruthdelacruz | Travel and Lifestyle Blog : Earth Hour 2015: How Will You Use Your Power? Earth Hour 2015: How Will You Use Your Power? Everyone can be a superhero by participating in the Earth Hour.. but then again, why confine ourselves to (limited) time when we can #GoBeyondtheHour? Earth Hour started in 2007 in Sydney Australia. It is a lights-off event to raise awareness about climate change. The campaign is now being supported in 162 countries and territories worldwide. But then again, we don't need to wait for Earth Hour to allot only an hour of sacrifice without light - the little things we do, simple acts and our lifestyle can contribute a lot to helping preserve the environment. I know for a fact that this planet would soon deteriorate, but we can delay this process.. very much like how we try to age with grace. The Earth Hour 2015 Press Conference was hosted by Marc Nelson and (the very funny!) Rovilson Fernandez! Mikee Cojuangco-Jaworski also joined the event and lead the pledge-taking of the sponsors. Marco Lambertini, Director General of WWF International joined the event straight from his flight. Mayor Herbert Bautista also shared his thoughts about the advocacy. The Earth Hour 2015 will be held in Quezon City Circle. Shout out to these sponsors for supporting the Earth Hour! Everyone is taking part on this campaign, you should join too! How can you help and take part in Earth Hour 2015? ♥ Switch off the lights when not in use. ♥ Unplug electrical appliances when not in use - this should prevent fire too. ♥Take advantage of the natural light - it is perfect for photography too. ♥ Recyle, reuse and reduce. ♥ Think before you buy things that you don't need. ♥ Buy products that support good causes. ♥ Buy the WWF Philippines Limited Edition tees and wear it with pride! I know lifestyle change is really difficult especially if there are so many distractions. But small acts can make big difference. Let's go! Quezon City Memorial Circle from 7:00 pm to 10:00 pm. Buy Limited Edition WWF Philippines Shirts with designs like #GoBeyondtheHour #UseYourPower #ChangeClimateChange and 60+ Earth Hour available in Kultura Branches in SM Stores. PS. My favorite Buffet Restaurant is supporting Earth Hour too! 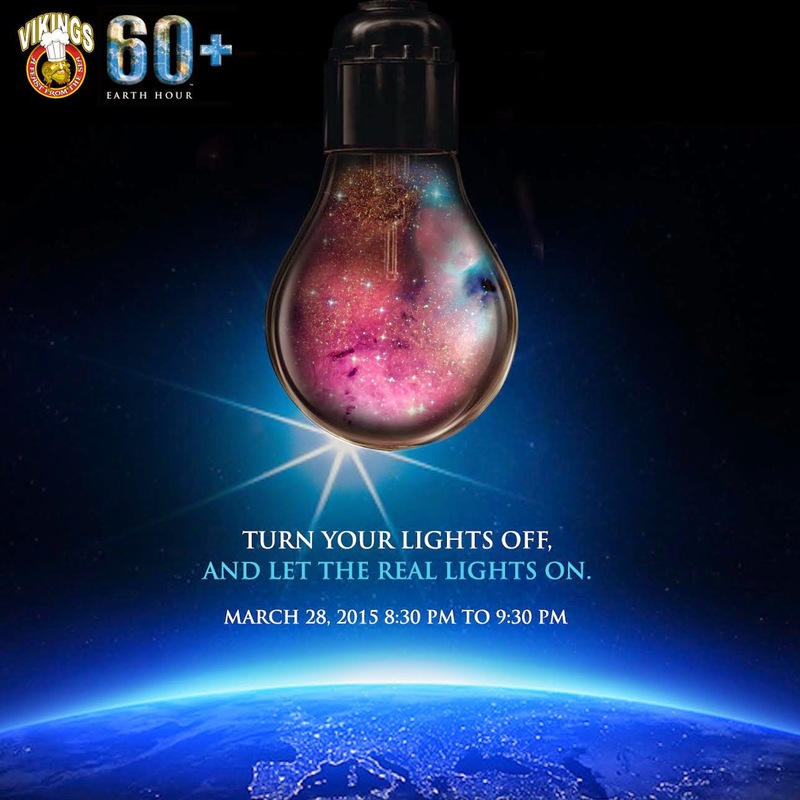 Where will you be on March 28, Earth Hour 2015? What is your commitment and pledge in helping save the world? © ruthdelacruz | Travel and Lifestyle Blog : Earth Hour 2015: How Will You Use Your Power?